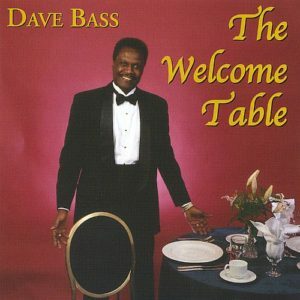 Although he recorded The Welcome Table twenty years ago, gospel singer and songwriter Dave Bass is promoting his quartet-inspired album to a new generation of listeners. The eight radio-sized selections on The Welcome Table sound like nostalgic reflections by a revivalist vocal harmony group, the kind that appears on TJ Lubinsky’s PBS specials. 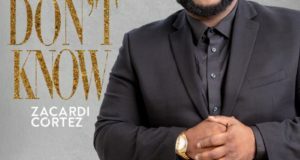 The songs have a latter-day Soul Stirrers vibe, with Bass channeling Sam Cooke’s elastic tenor but without his trademark yodel. Bass is accompanied by an uncredited quartet and contemporary musical backdrop. The title track as well as “Don’t You Want to Be Saved” and “The Little Old Tree” share the narrative technique of the Sam Cooke composition, “Touch the Hem of His Garment.” They are storybook tales that illustrate Biblical teachings. Imagine my surprise, then, when after assessing the Stirrers-like feel of the songs, I discovered the album’s liner notes were written by Daniel Wolff, who authored an excellent Cooke biography called You Send Me. Wolff adds that Bass sang lead with the Mighty Royal Travelers and worked with the Spiritual Volunteers of Washington, DC, before going solo. 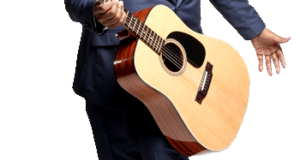 For me, the gospel bluesy “Joy in My Soul,” with its old-school guitar strum opening, is The Welcome Table’s top track, though the finger-popping “You Can’t Fly Higher than God,” with its tongue-in-cheek reference to Bobby Day’s “Rockin’ Robin,” would, I suspect, be the fan favorite. 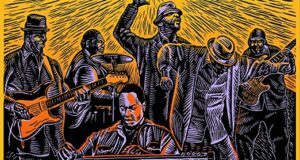 In 2013, Dave Bass returned with a band called the DBGs (Dave Bass Group) to do a song of social commentary, “When Will It End?” As the theme of this song (sadly) and the sound of The Welcome Table (gratefully) suggest, everything old is new again.